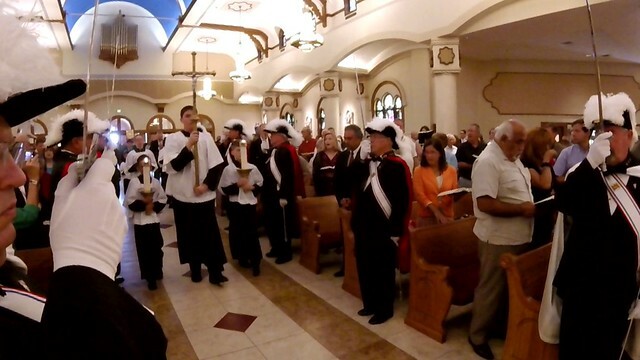 On Sunday September 11, 2016, Council 9368 of the Knights of Columbus had a special program on the 15th anniversary of the terrorist attack. The World Day of Prayer for Peace included 4th degree fallout, a Corporate Communion Sunday, special prayers and songs, prayer cards, an American flag near the altar, and the Pledge of Allegiance. The Knights from Council 9368 sat in the front four pews with their families. After Mass, several families attended brunch at Mesa Rosa. To see more pictures of this event click on the picture below.